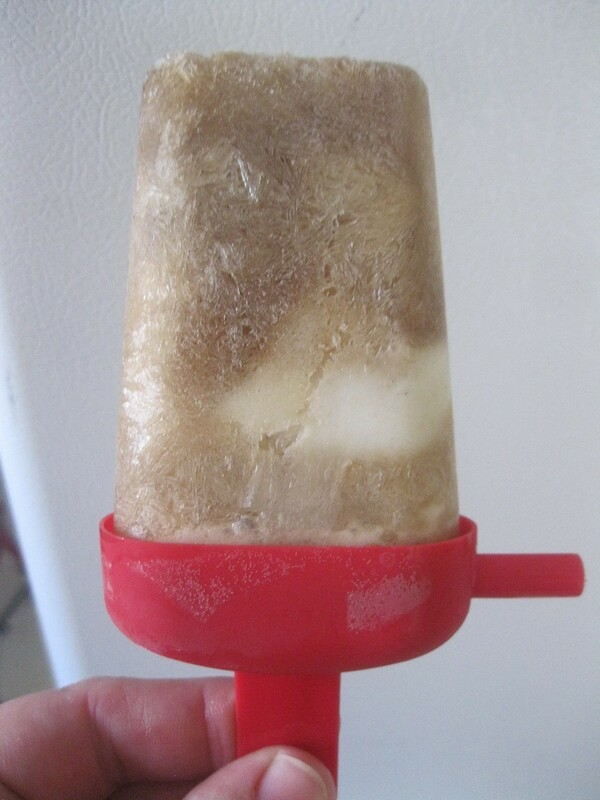 This is a super easy treat using your favorite vanilla ice cream and root beer, that the kids can help with and enjoy eating. We are already on our 2nd batch in 2 days. It's a nice way to cool down in summer. 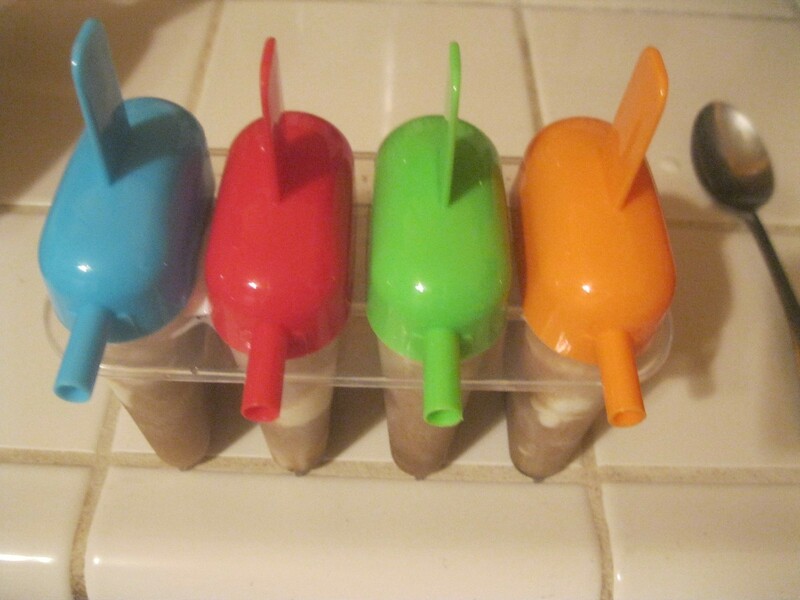 popsicle molds (I got these at the dollar store). You could use dixie cups and place sticks in the center. 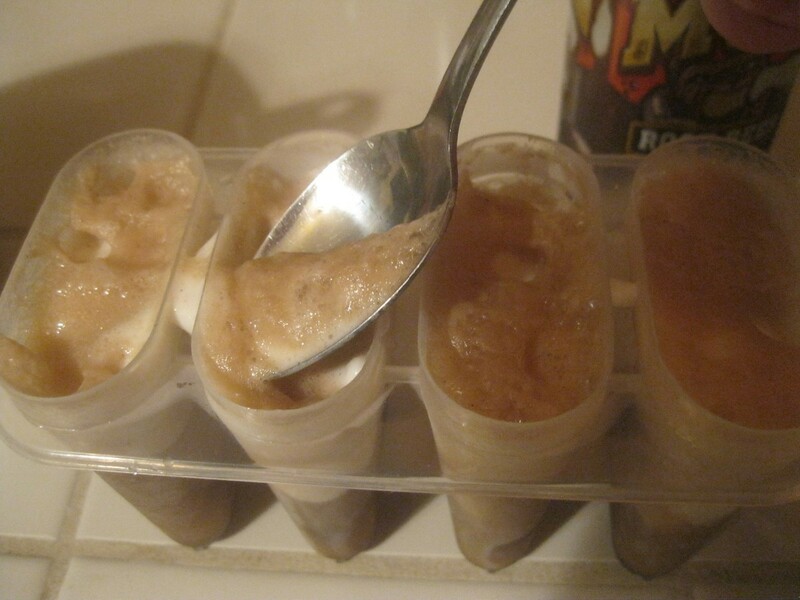 Scoop some ice cream into your popsicle molds. 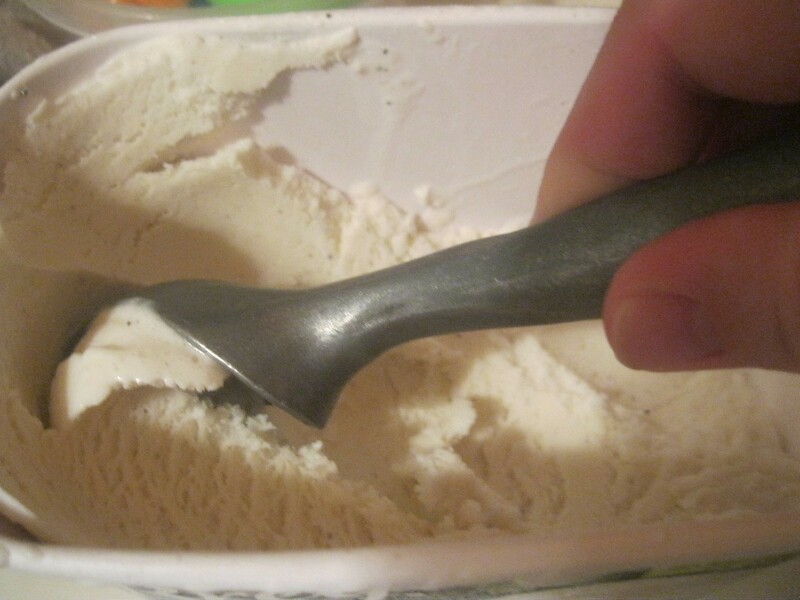 Don't pack it in too tightly. 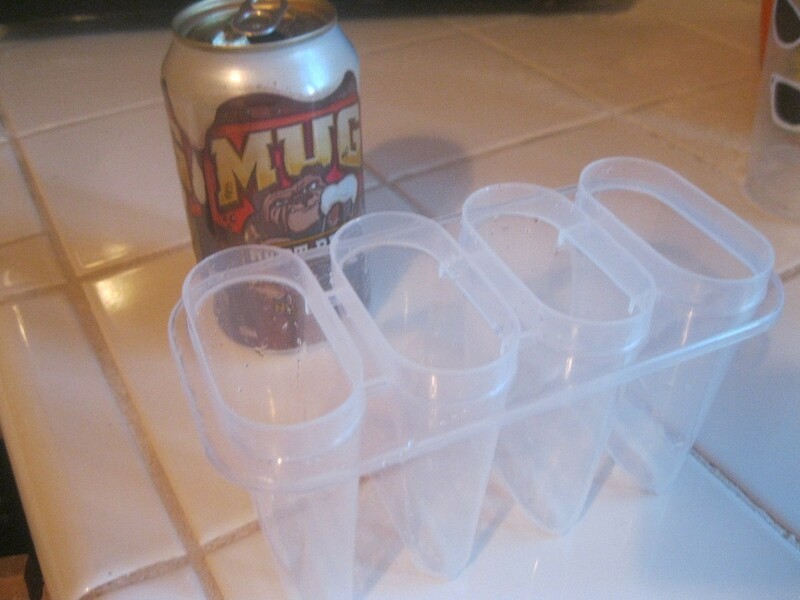 You want the root beer to go into all those nooks and crannies. Slowly add the root beer til it gets close to the top. It will foam up a bit. Wait a few minutes, then skim off the foam from the top. Add some more root beer until it comes close to the top. Leave a little space for the mix to expand in the freezer. 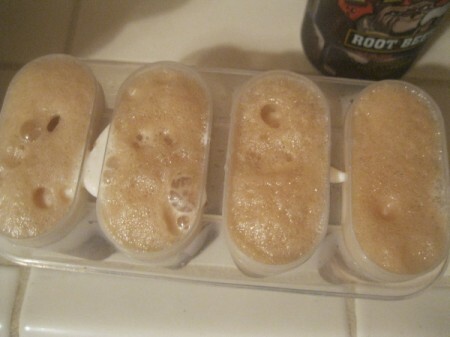 Place your popsicle tops in the molds. 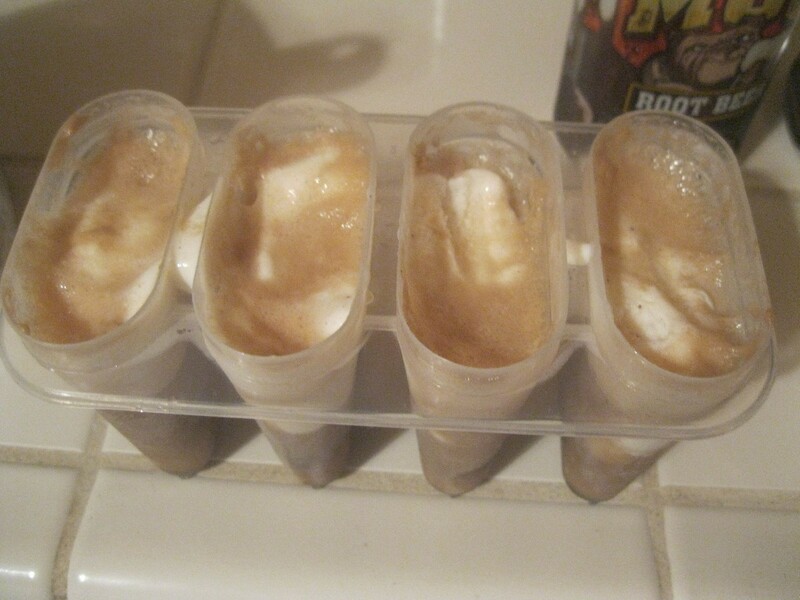 Or, if you are using Dixie cups, add your stick to the middle of the cup. 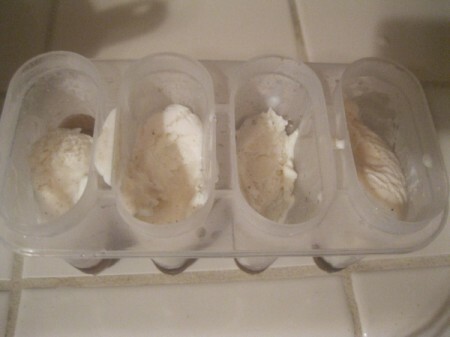 Let mixture freeze in the freezer. It takes a few hours. My son will love these! !